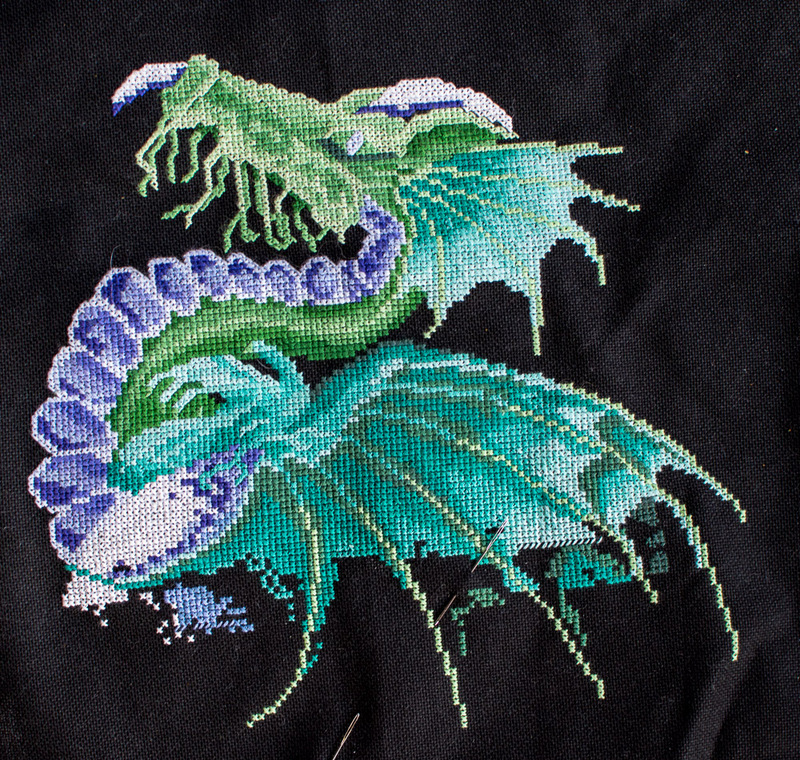 There's a little bit more blue and white along with the green done this time. 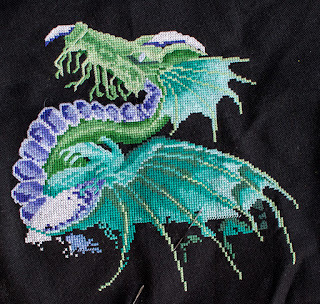 I think it is beginning to look like a real piece of stitching. Wow! It's coming along and looks great! I like the color of your fabric! !